Each time they let one slip away, Tobias Harris or Montrezl Harrell were there to get Doc Rivers’ team going again. Clippers: Los Angeles hasn’t lost in Sacramento since March 19, 2013. … Martin Gortat had nine points in 18 minutes after getting into early foul trouble. Gortat picked up his third foul with five minutes left in the first half. . Los Angeles shot 68 percent (17 of 25) in the first quarter. 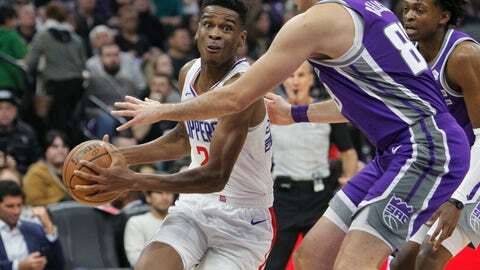 Kings: Bagley left the game in the fourth quarter with back tightness. … The 42 points scored by Los Angeles matches the most allowed in a single quarter by Sacramento this season.